Check out gift cards for the hunter or shooter in your life. 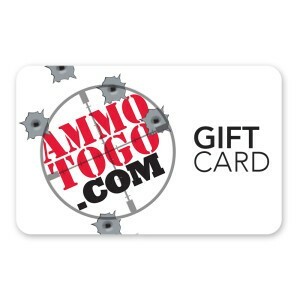 We offer AmmoToGo.com gift cards good toward ammo, accessories and pretty much anything you can find on our site. To order a gift card, give us a call at 979-277-9676 or shoot us an email at sales@ammotogo.com to talk with our customer service team. We are happy to send a physical gift card to the recipient or we can send an electronic gift card within minutes of the order.